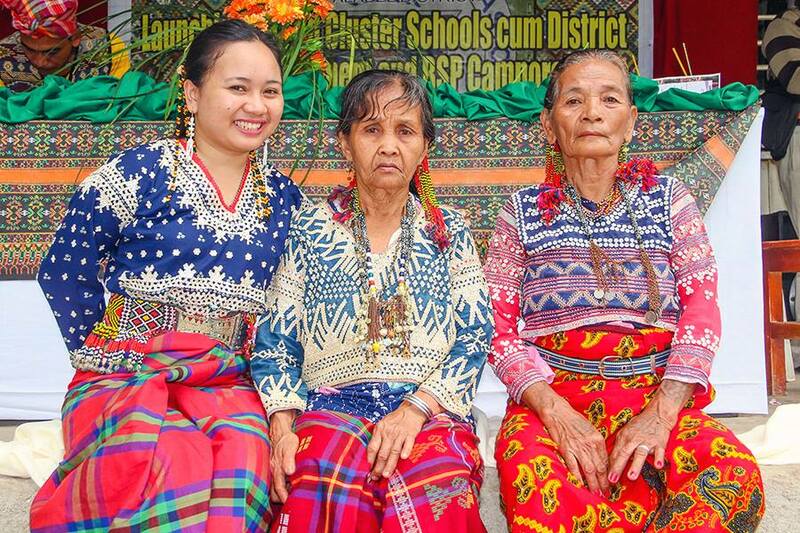 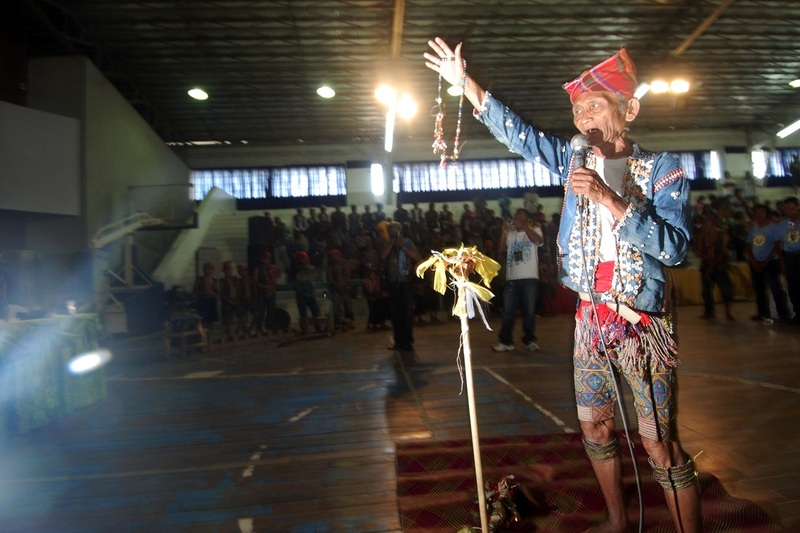 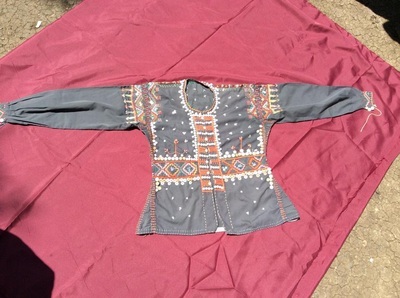 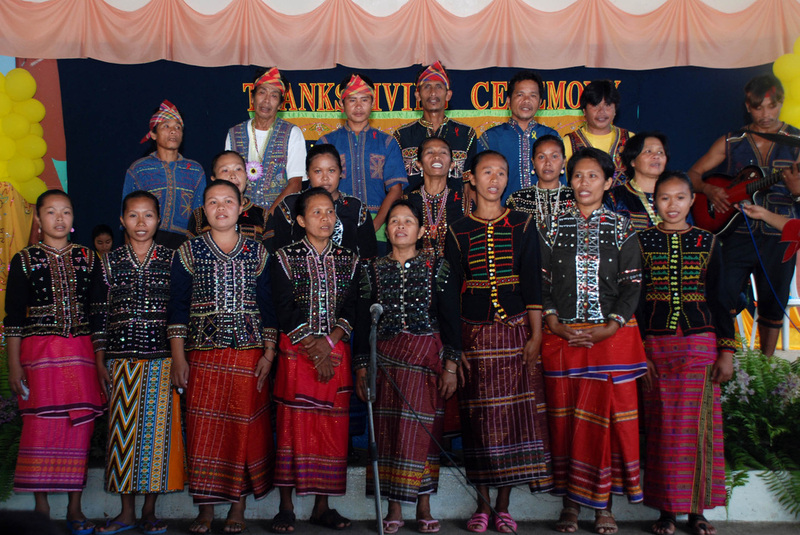 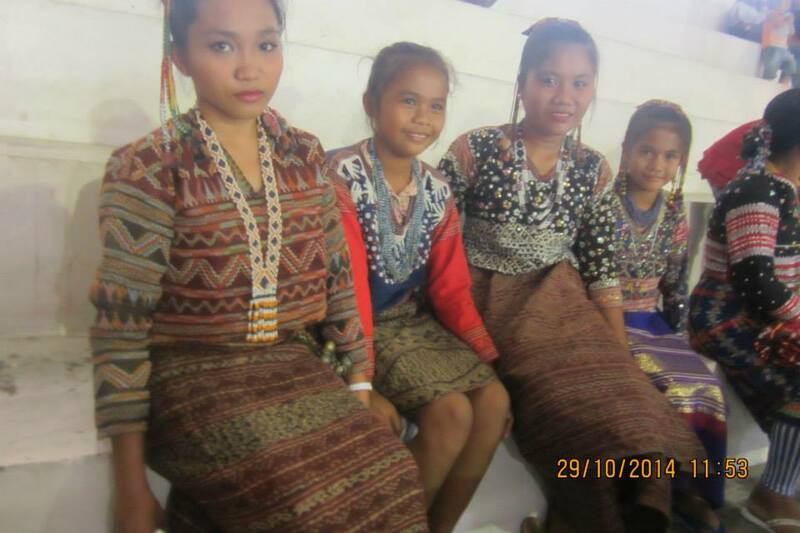 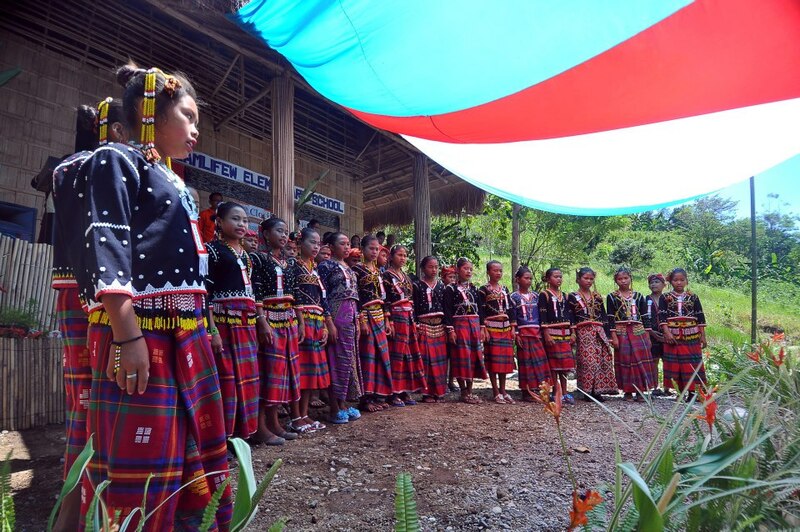 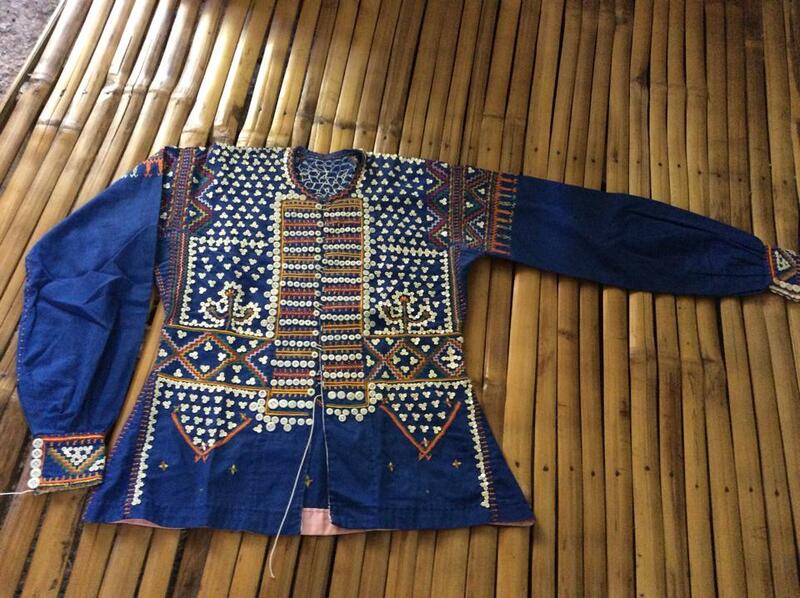 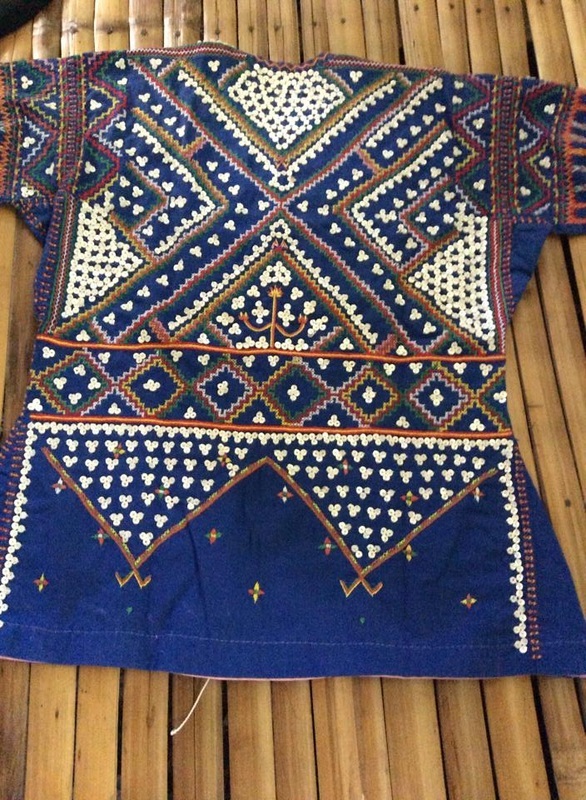 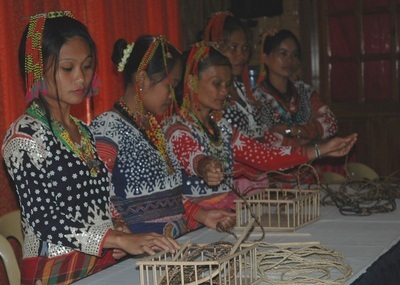 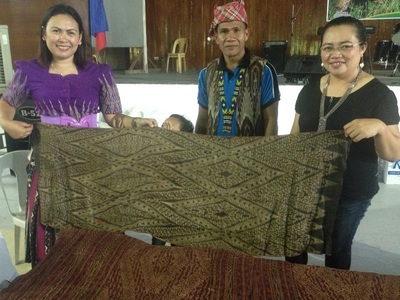 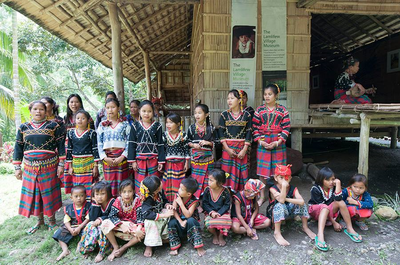 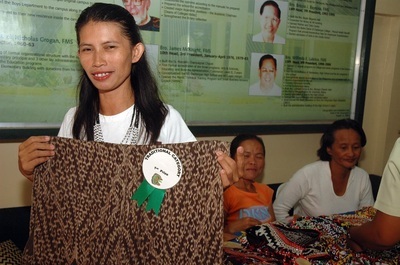 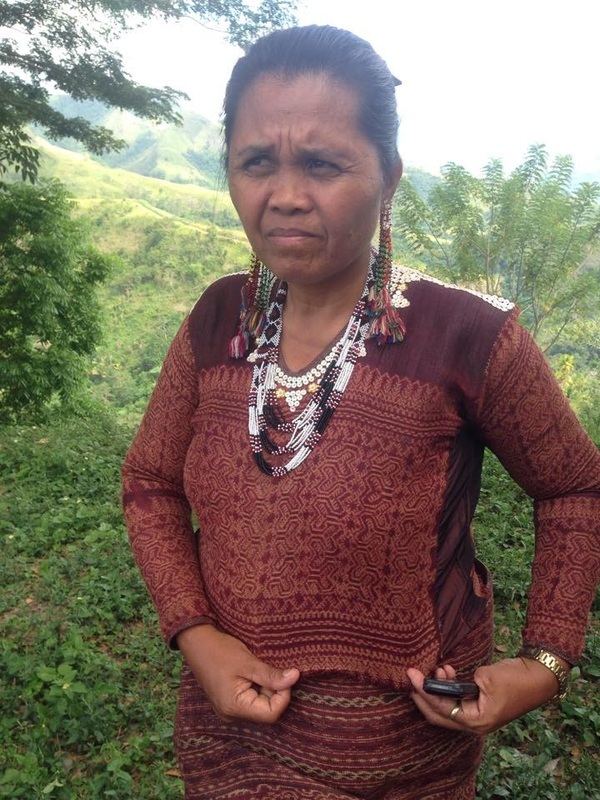 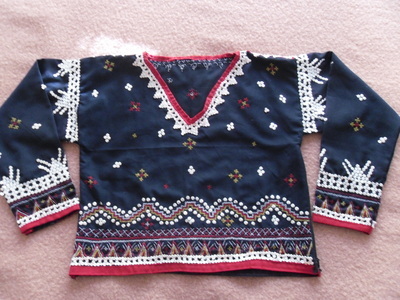 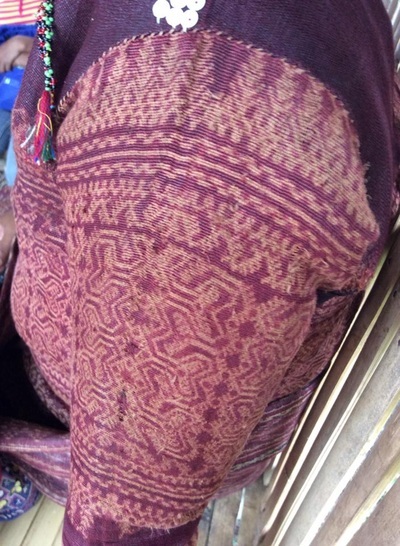 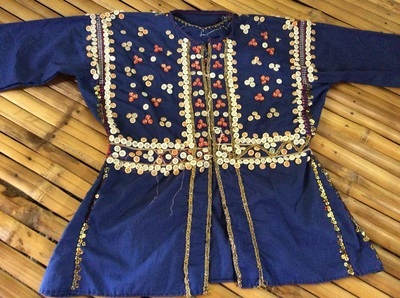 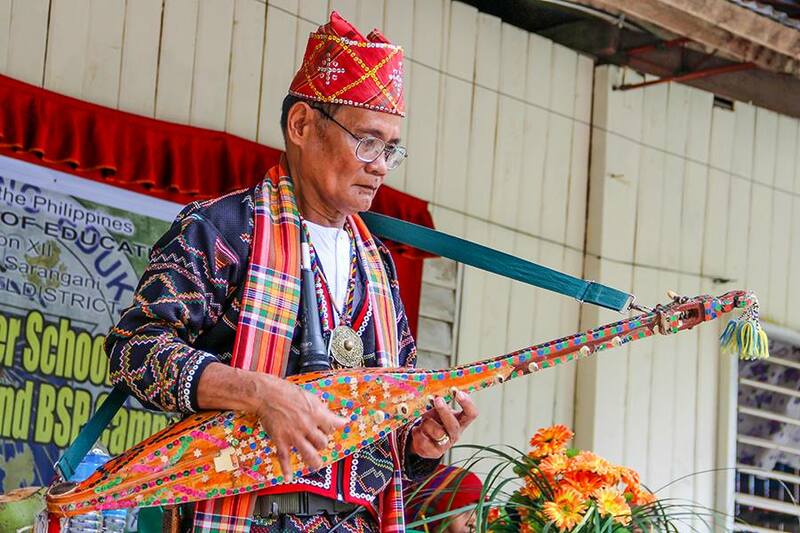 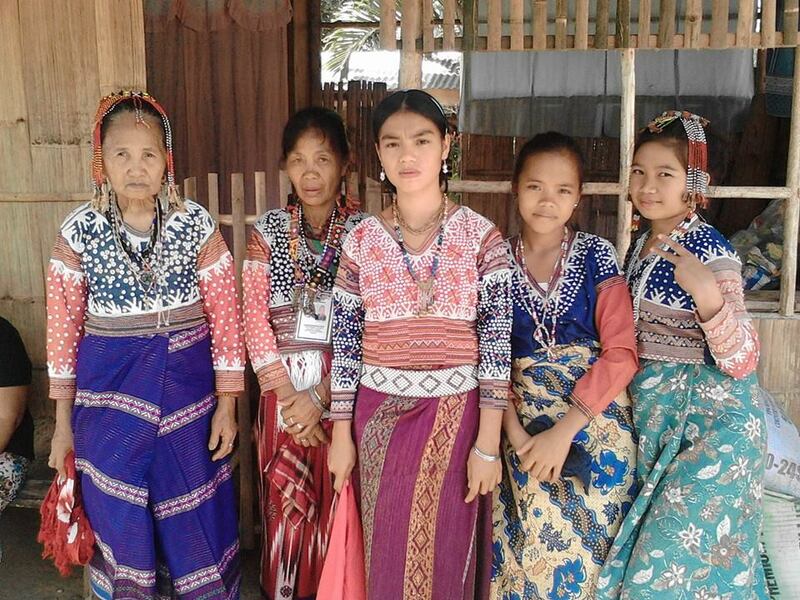 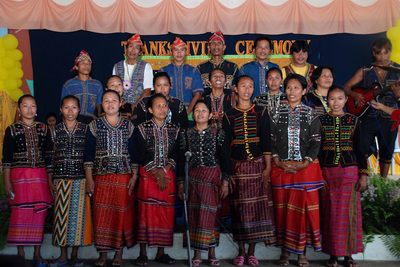 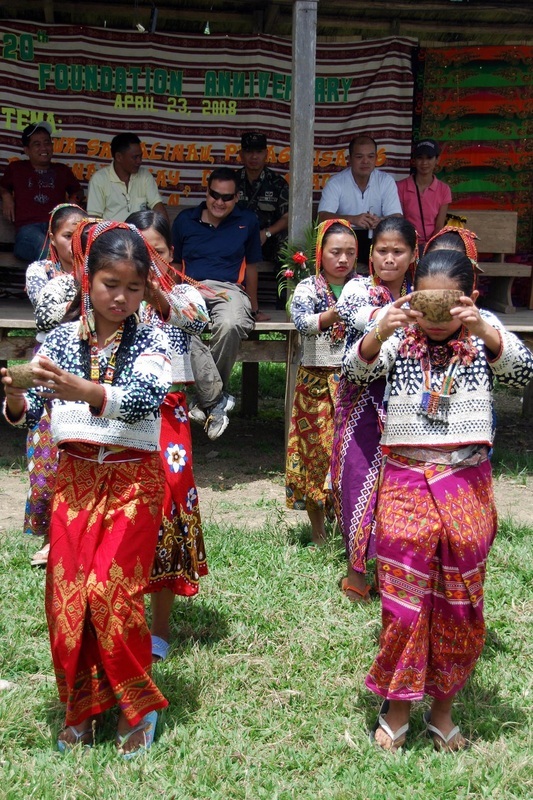 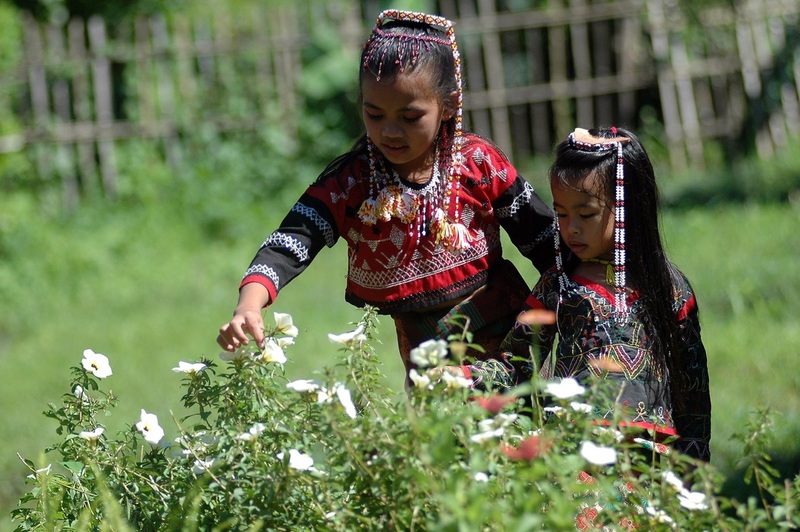 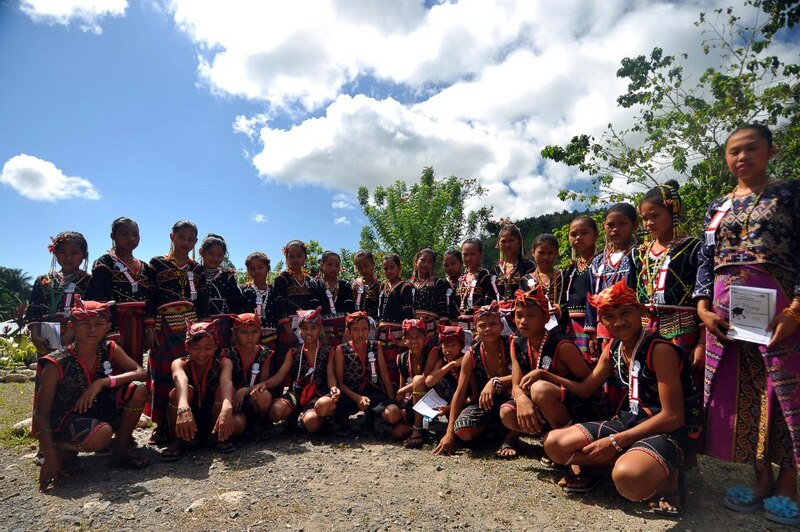 Click Here for a detailed description of the Blaan costume featured in the website of Senator Loren Legarda as shared by Helen Lumbos from the Lamlifew Tribal Women's Association (LTWA) in Datal Tampal, Malungon, Sarangani Province. 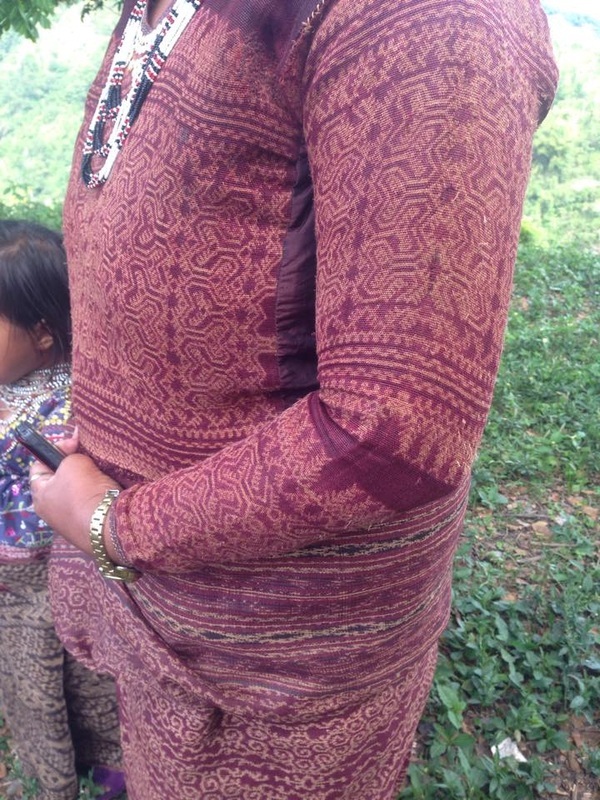 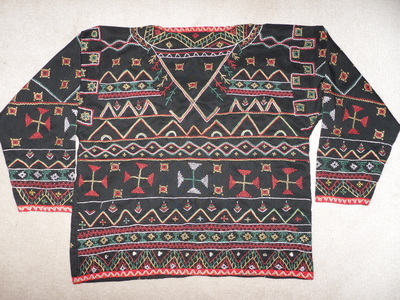 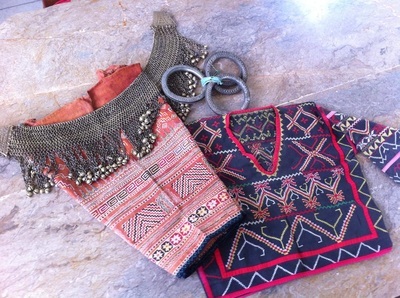 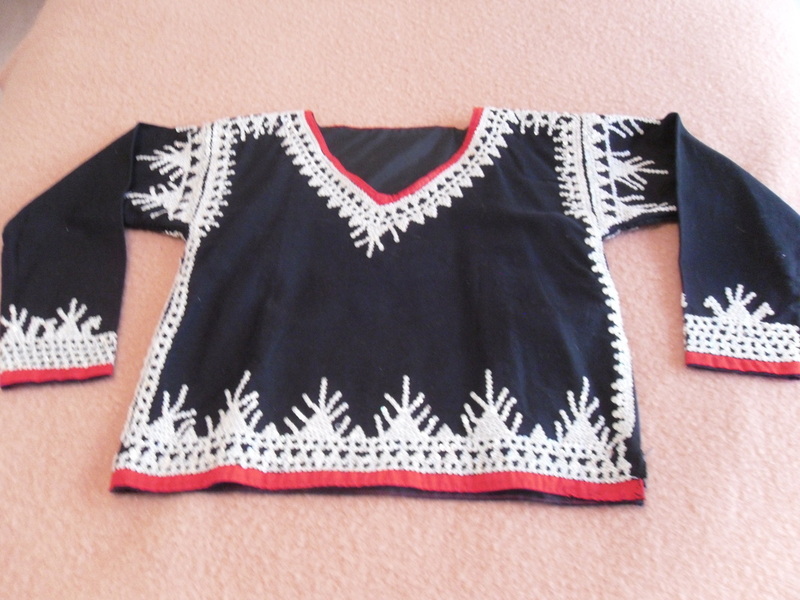 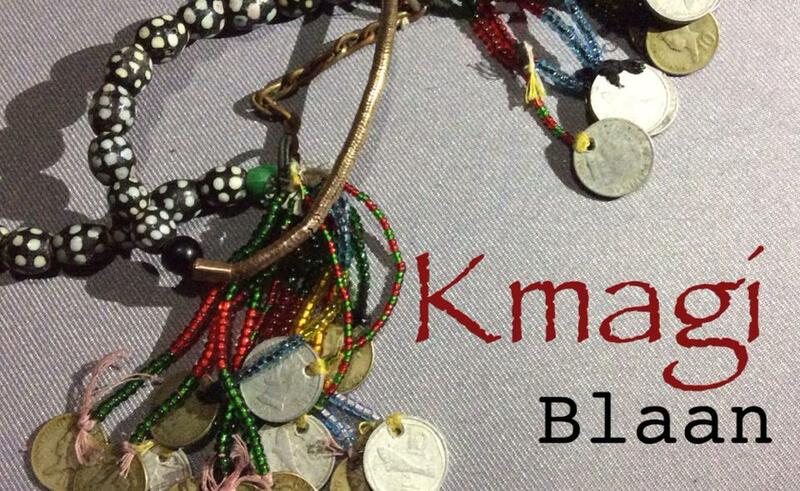 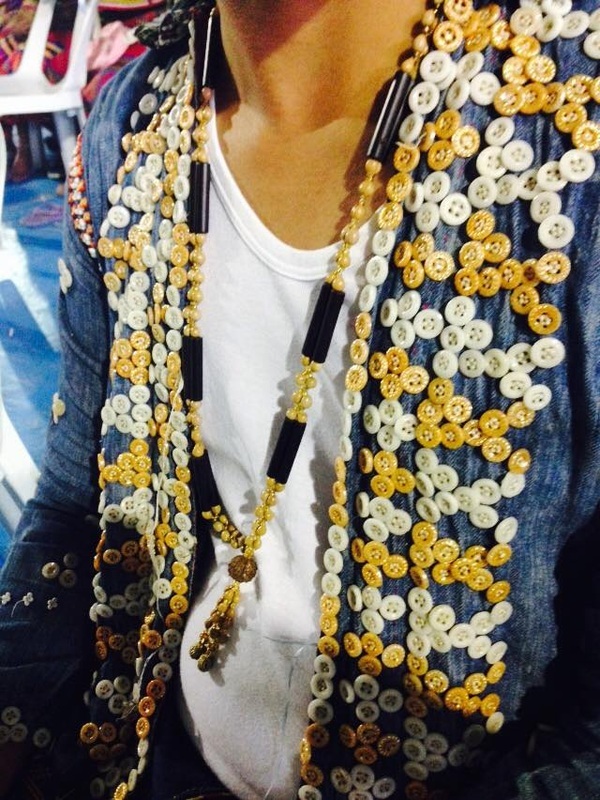 Blaans in Malapatan and Glan has different kind of designs in both female & male blouses. 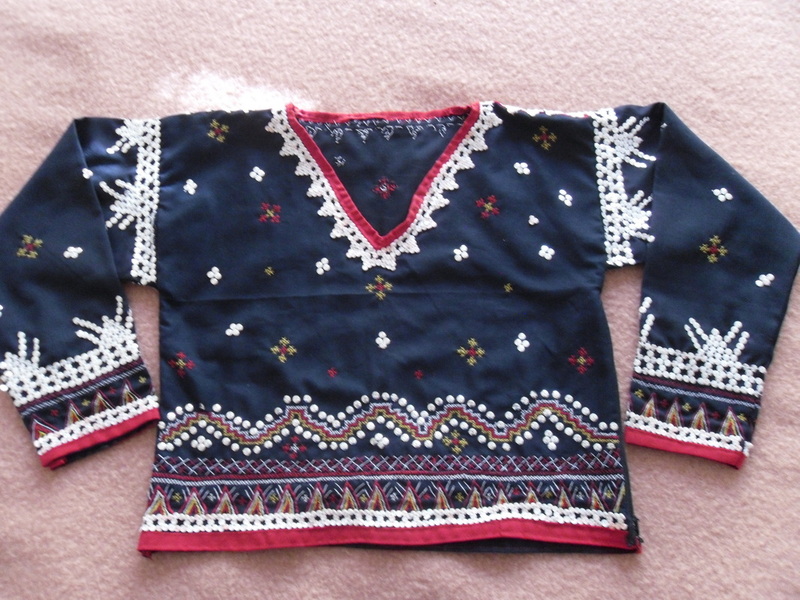 Click each photo for details. 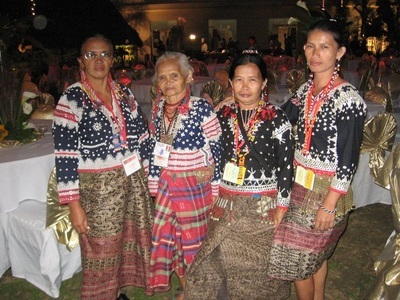 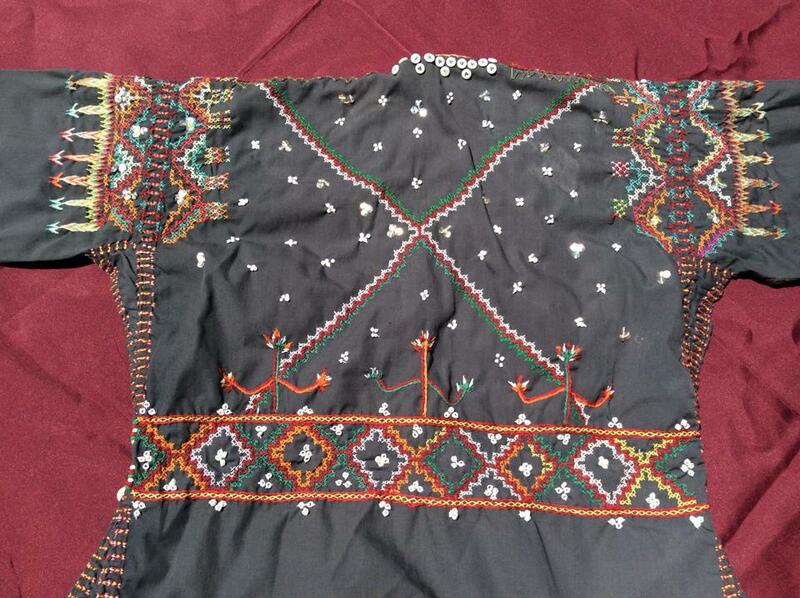 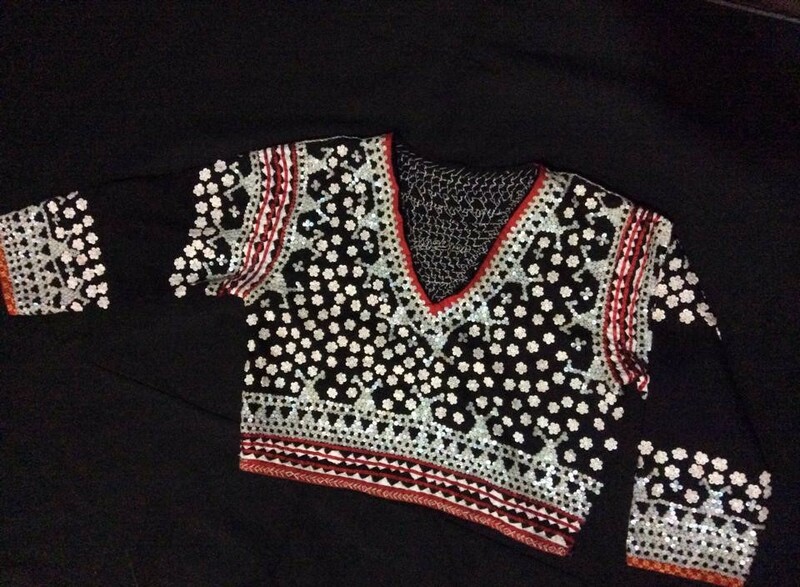 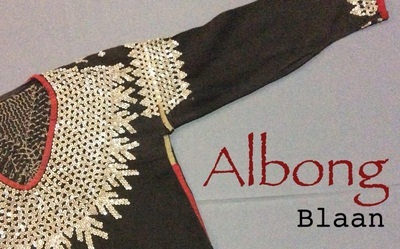 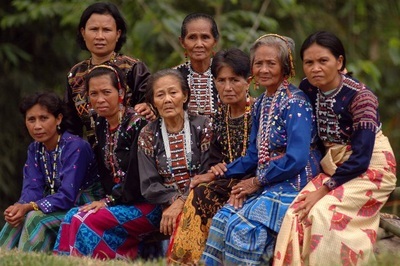 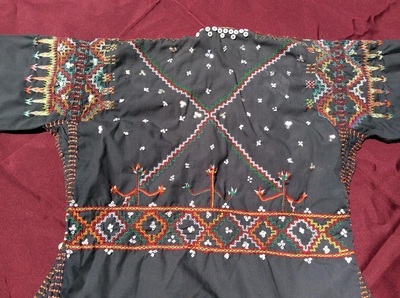 Blaan female blouses are differentiated by their respective decorations and embroidery like Mother of pearl/shell discs (Albong Takmon) which is also the most expensive, Beaded blouse (Albong Sanlah), blouse with Applique’ (Albong Knibang) and Cross-Stitched (Albong Ansif). 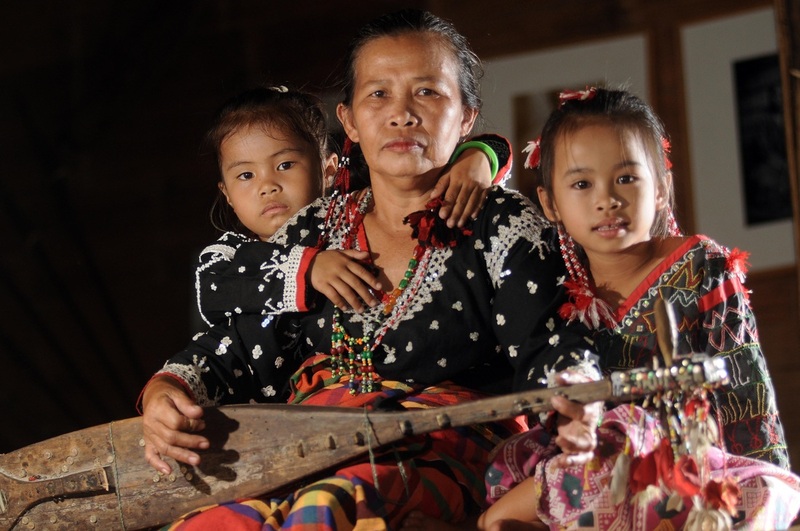 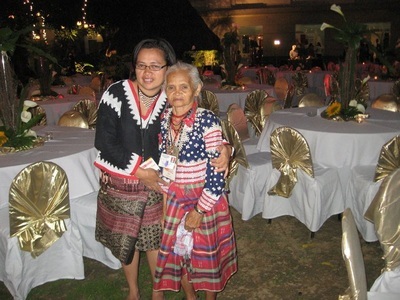 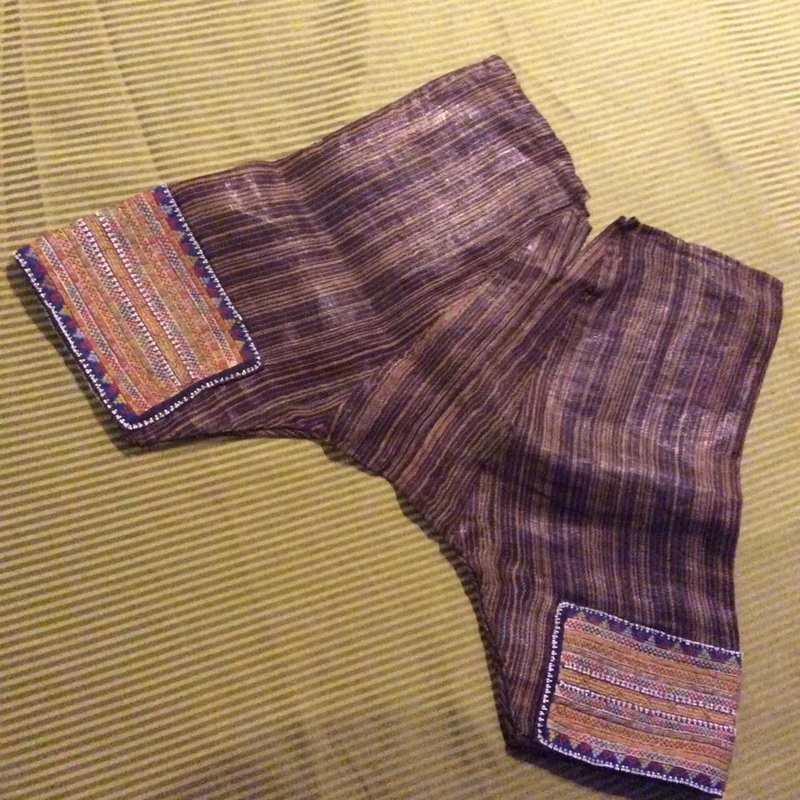 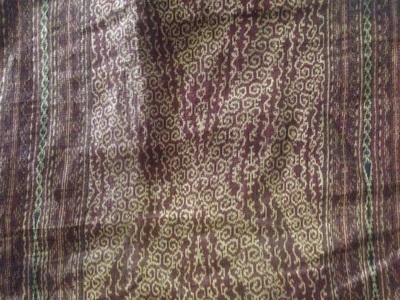 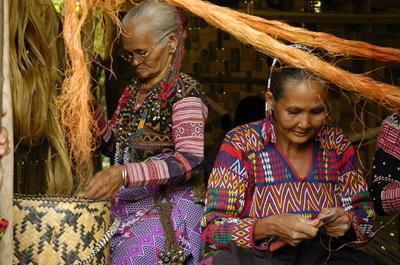 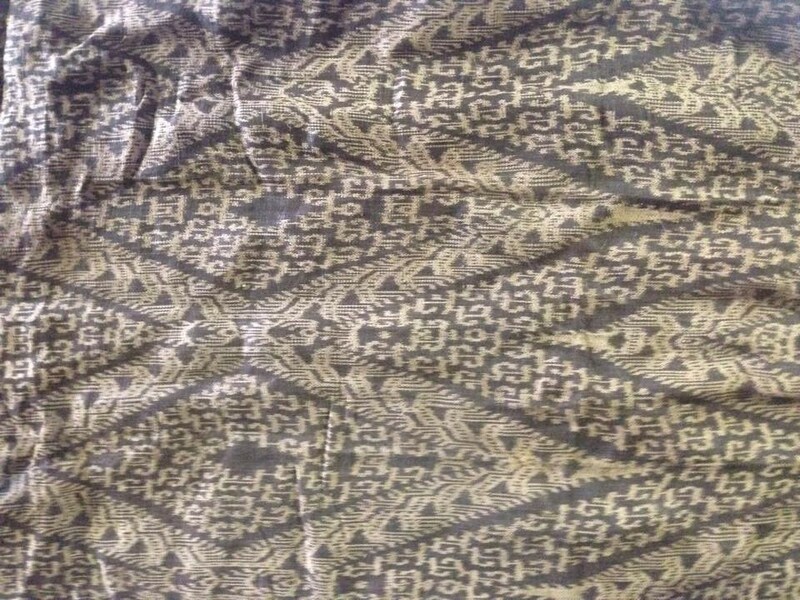 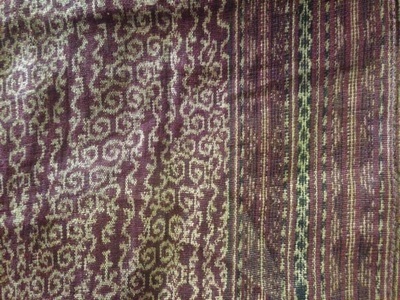 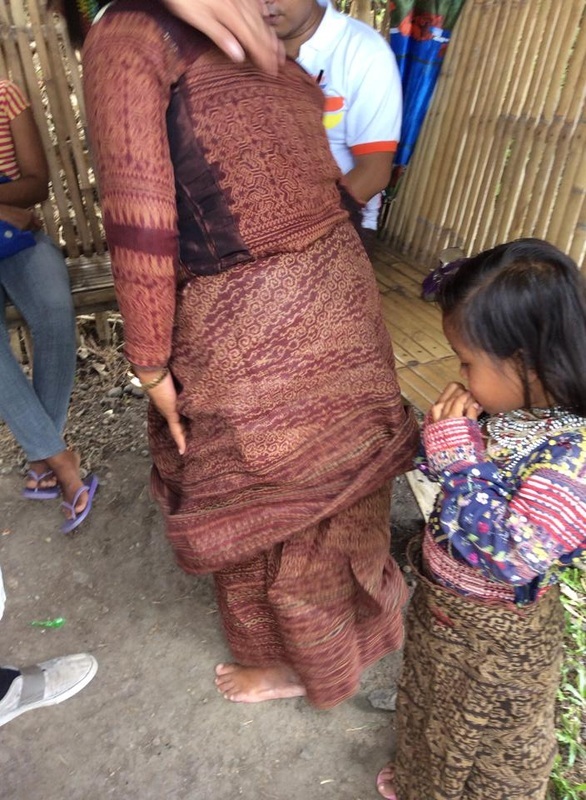 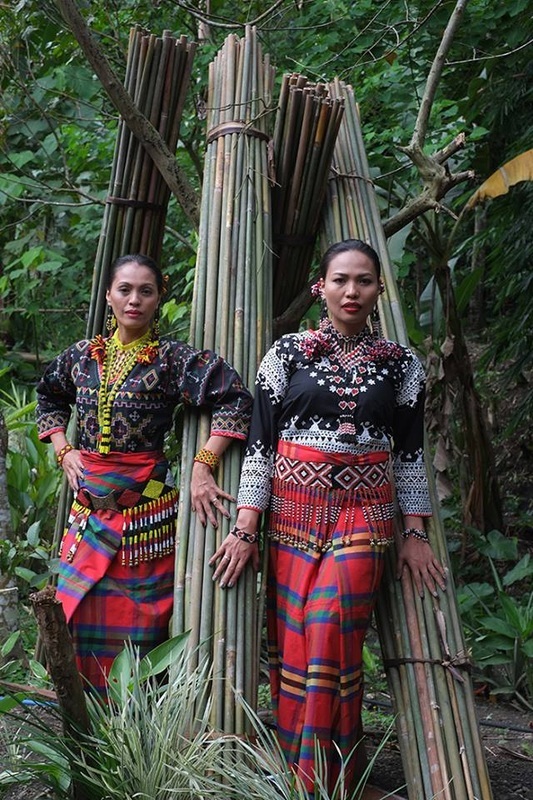 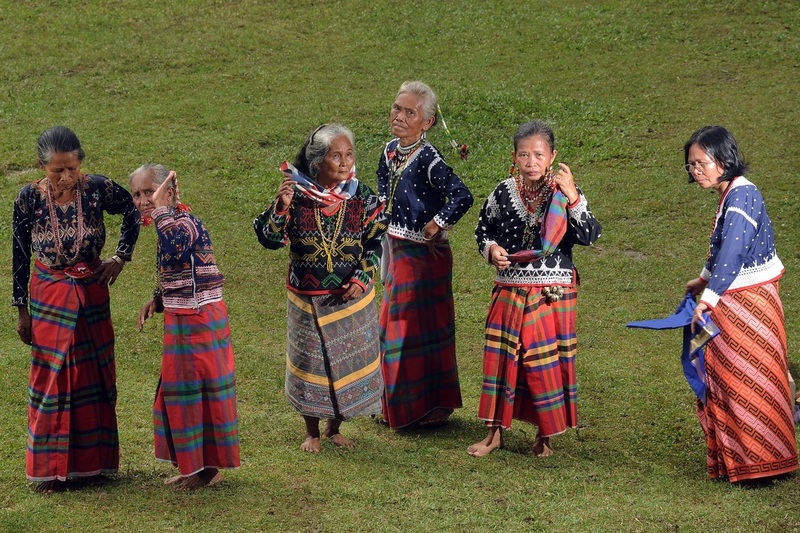 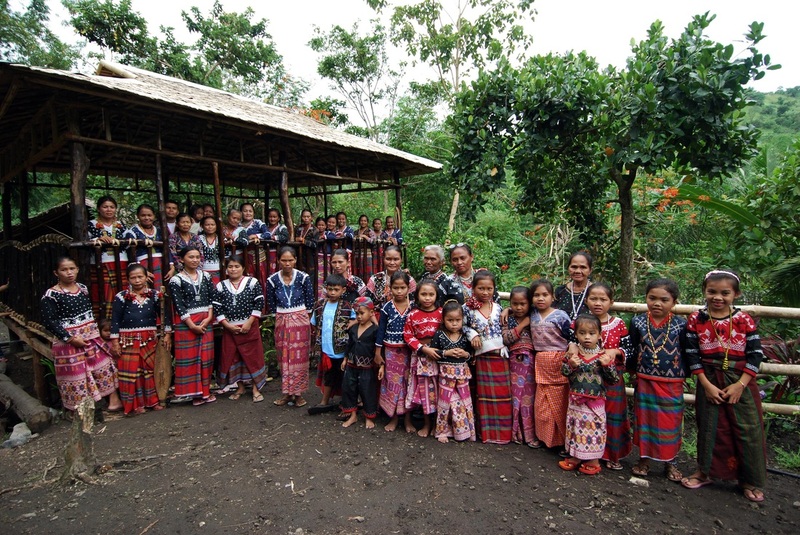 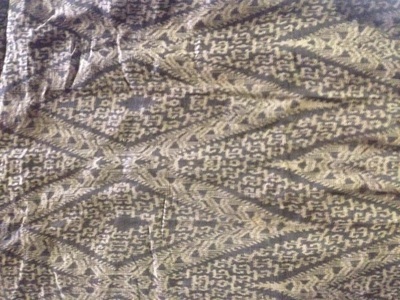 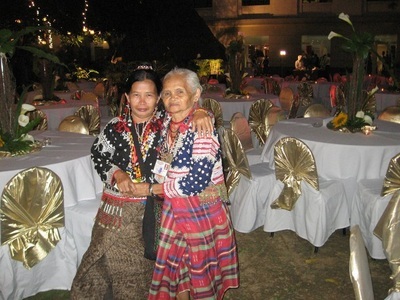 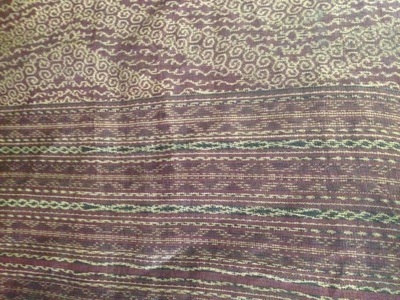 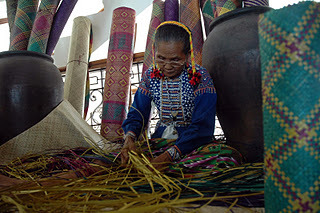 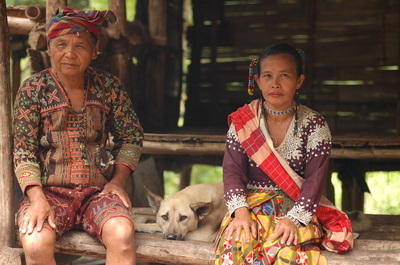 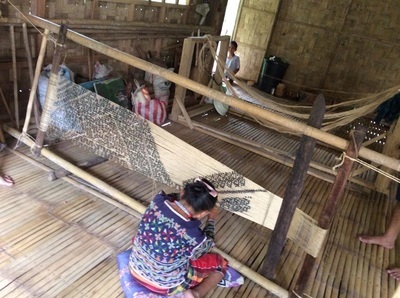 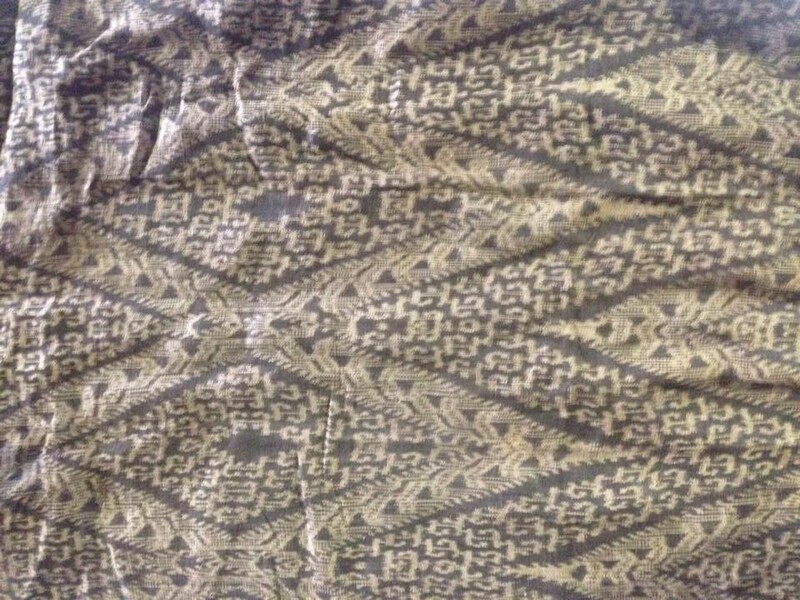 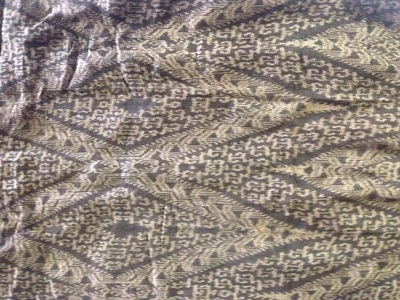 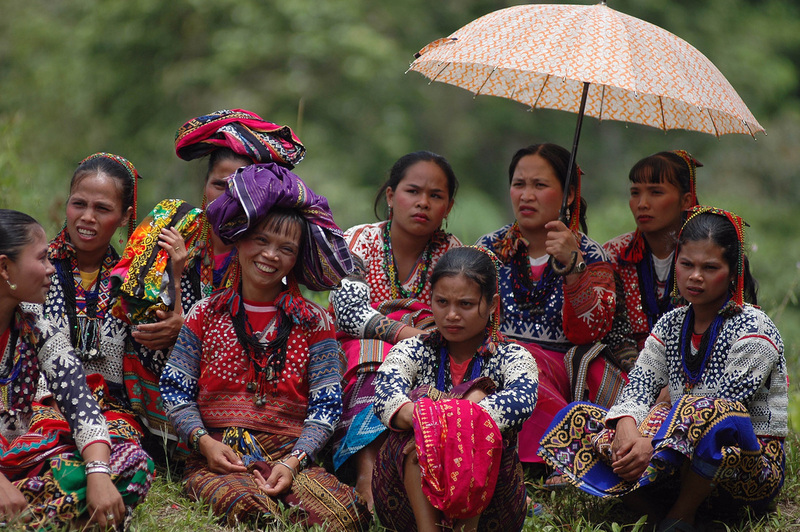 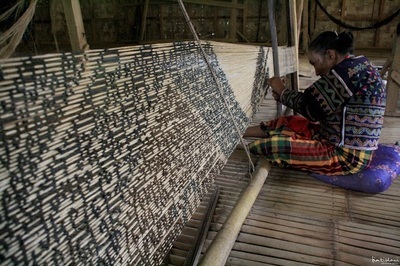 The traditional female tube skirt is called Tabih made from handwoven abaca (ikat weaving). 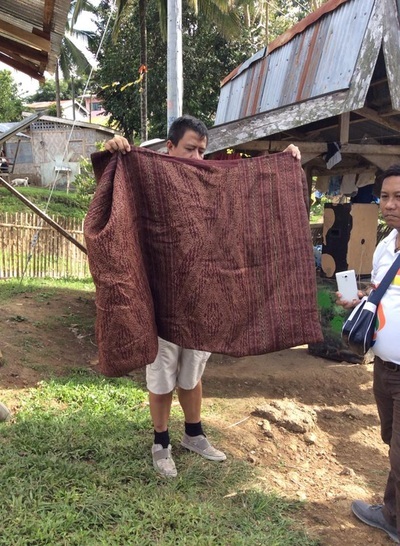 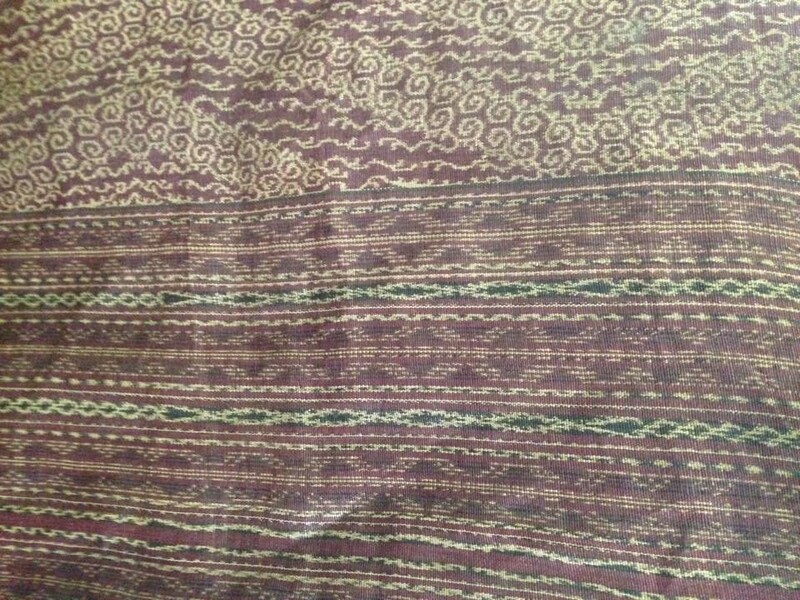 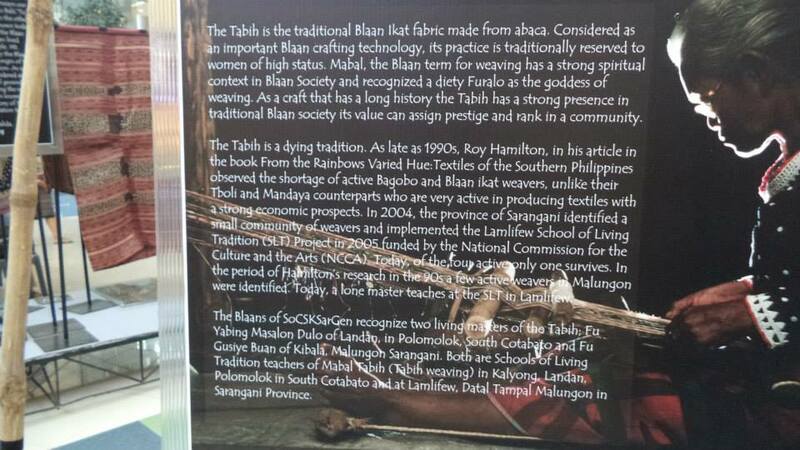 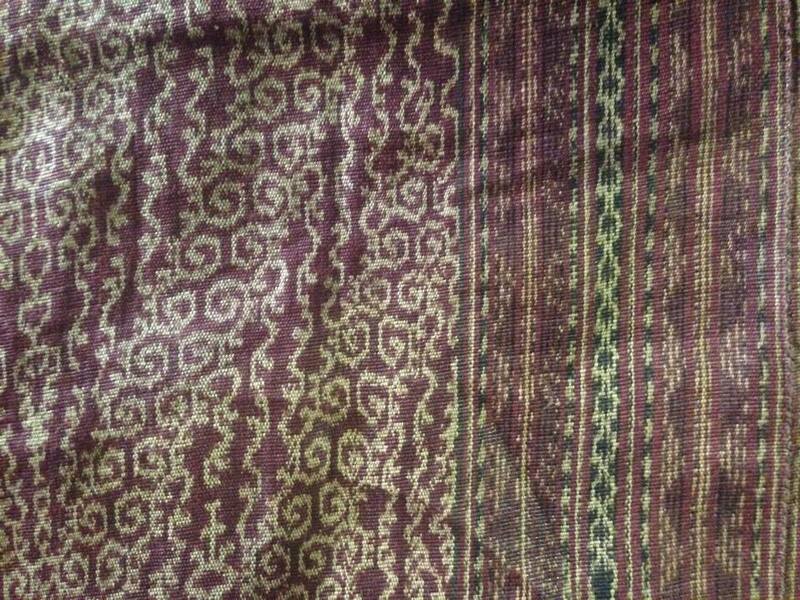 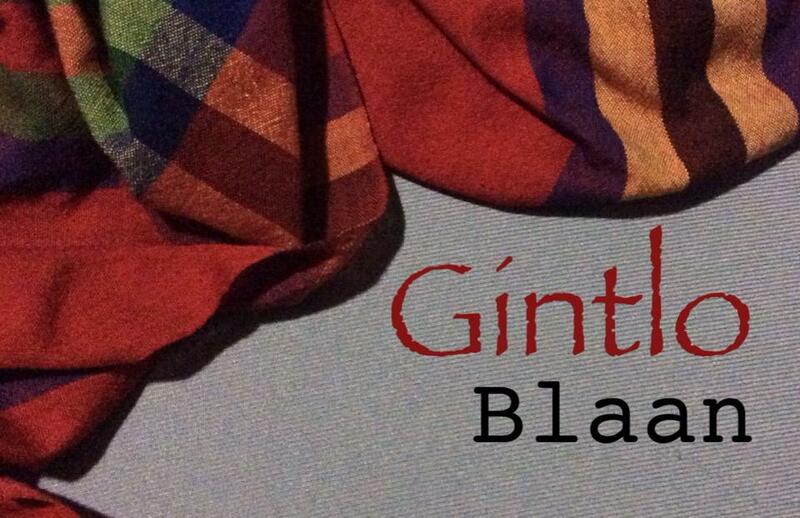 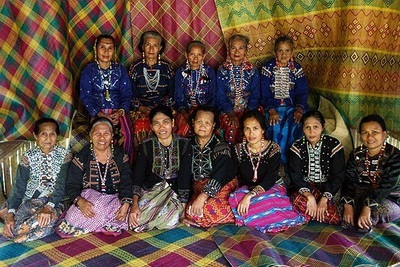 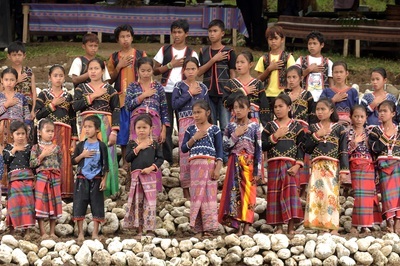 Blaan women also uses the Maguindanao plaid Malong as an alternative to Tabih and it is called Gintlo. 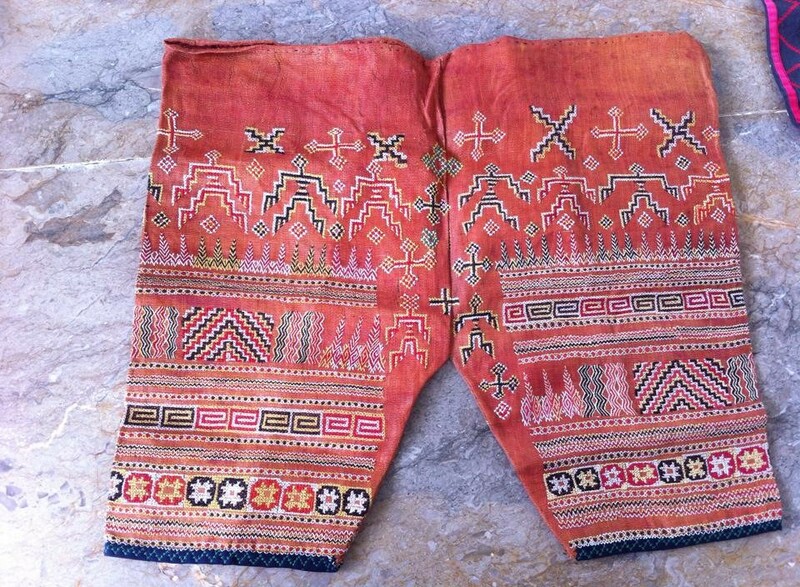 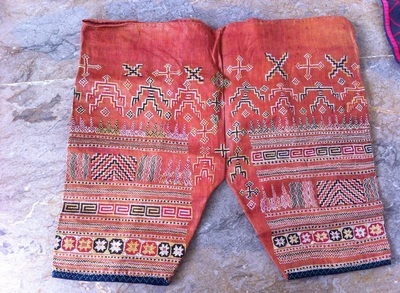 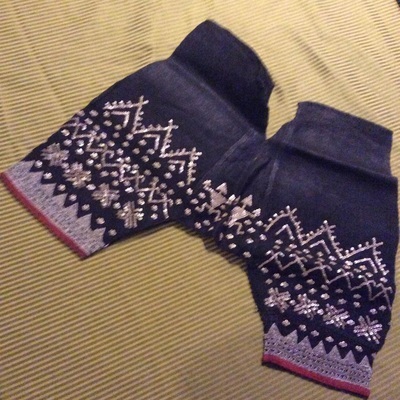 Blaan male pants/trousers are generally called Salwal. 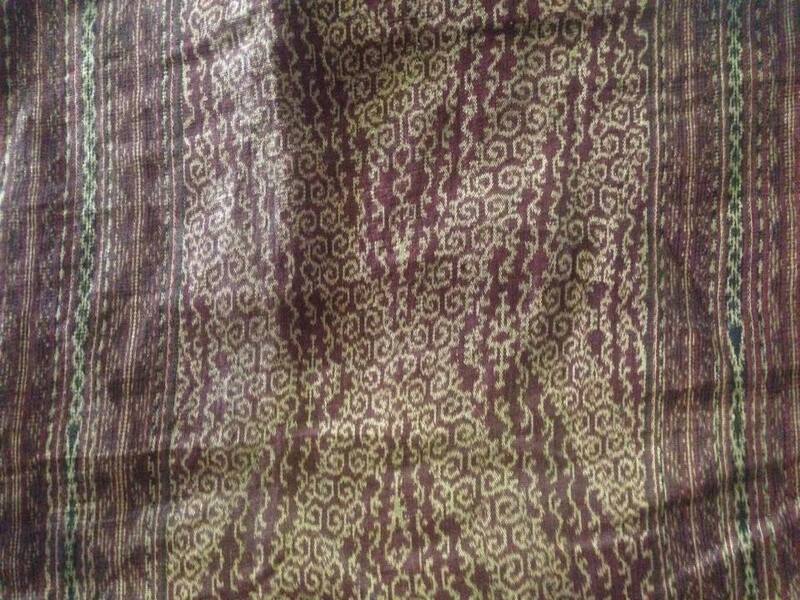 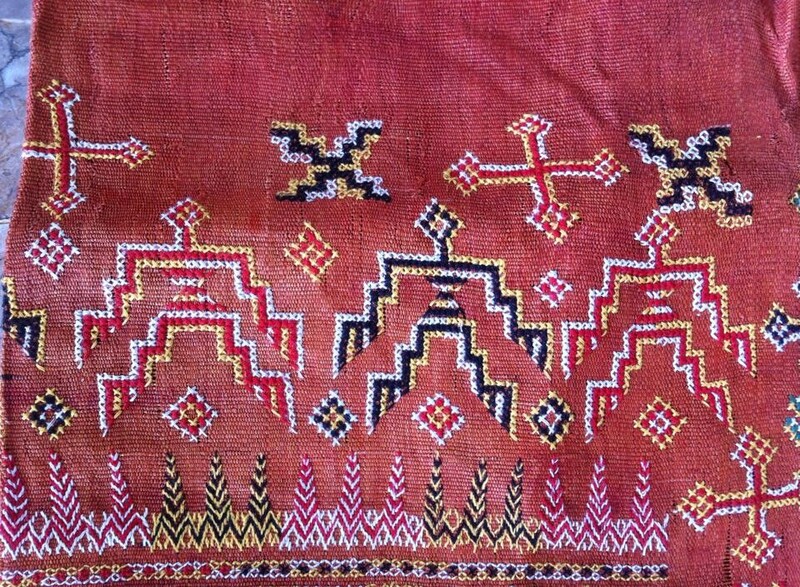 Name can change to Salwal T’najung or Salwal Nihok based on the ikat material and embroidery design/motif applied. 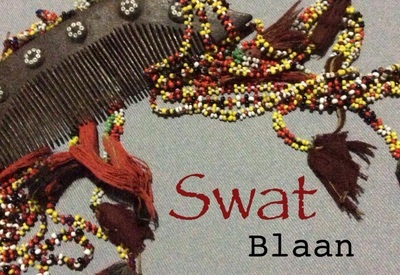 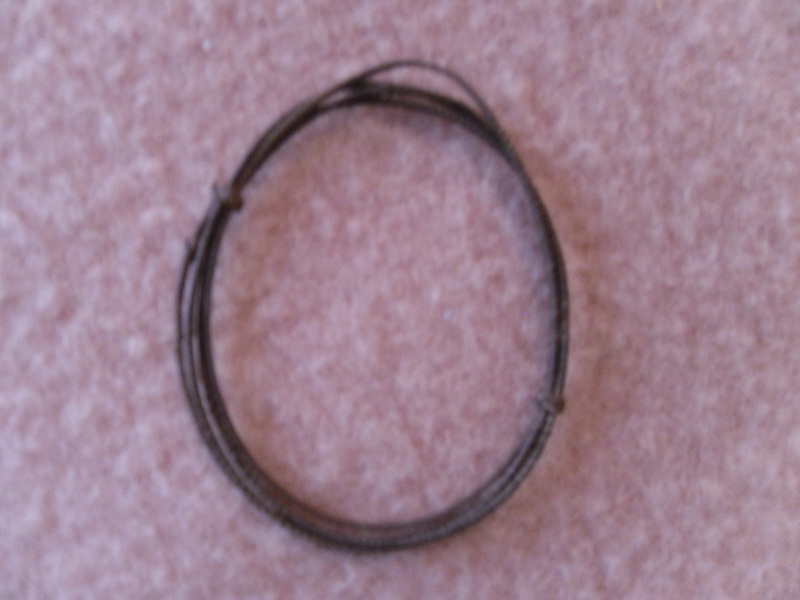 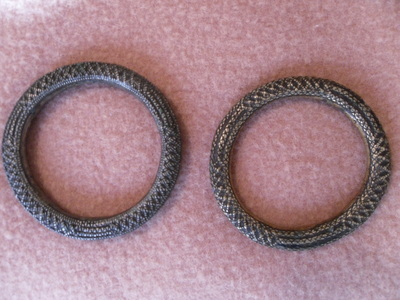 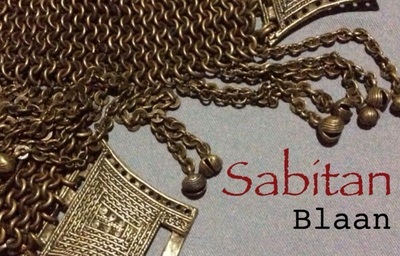 Other accessories with their Blaan terms are the following: Comb - Swat, Male cloth head cover – Utob, Earrings – Ulel, Necklace – Slah, Brass Belt – Sabitan or Gat Awek, Leg Rings – Tikas, Anklets - Babat. 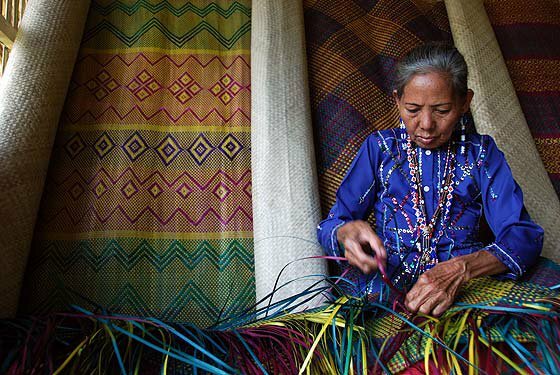 Right now, Lamlifew Tribal Women's Association of Lamlifew Village in Datal Tampal, Malungon, Sarangani Province can do customized orders. 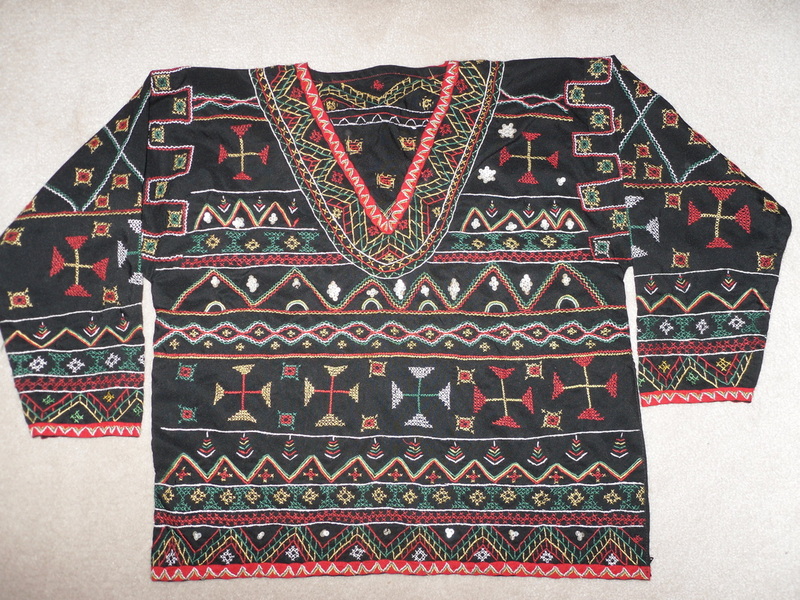 Click HERE to view complete costume samples For SALE. 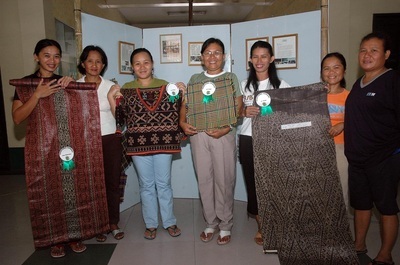 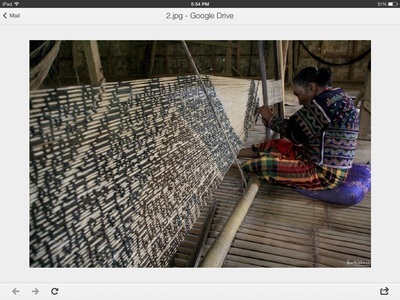 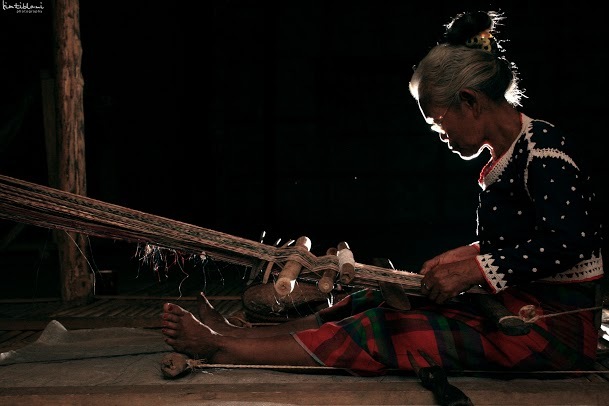 “Blaan women employed a particularly wide repertoire of design formats for their abaca skirts. They were also recognized throughout the region as the most accomplished embroiderers. 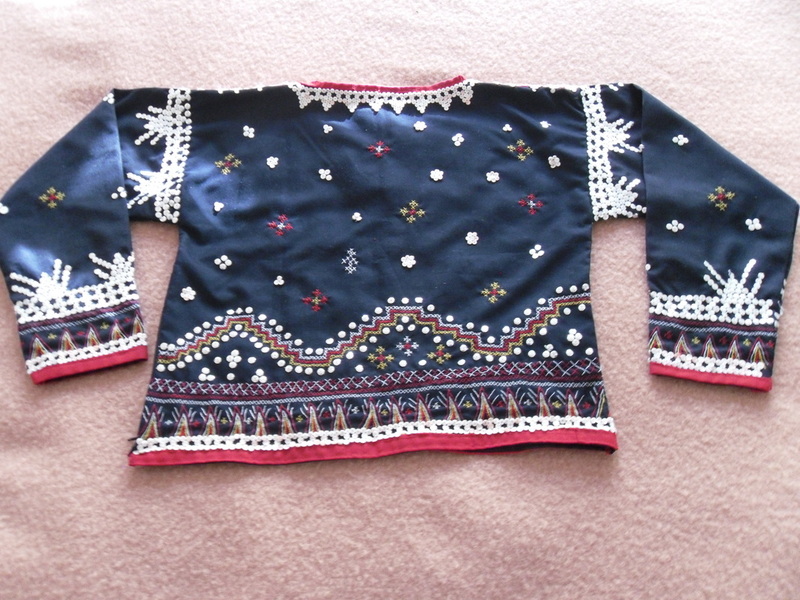 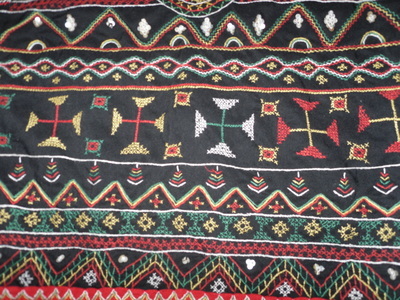 A more elaborate example of Blaan embroidery can be seen in men’s shirts with crocodile motifs on shoulders and sleeves. 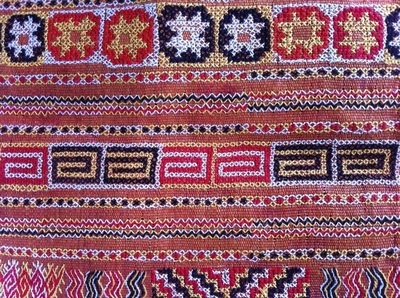 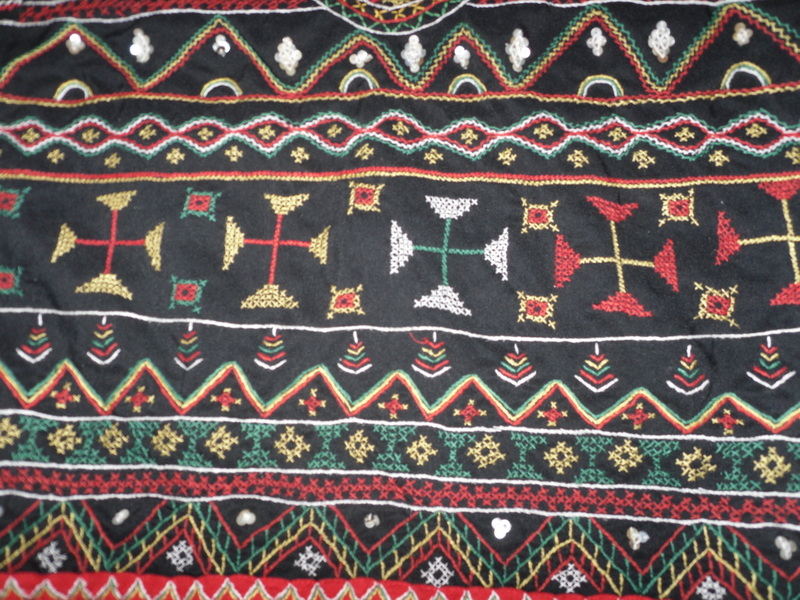 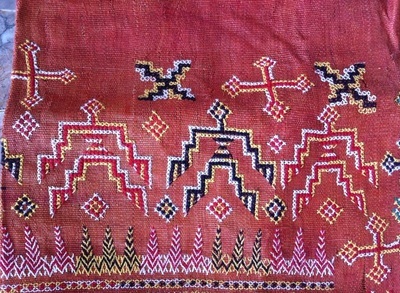 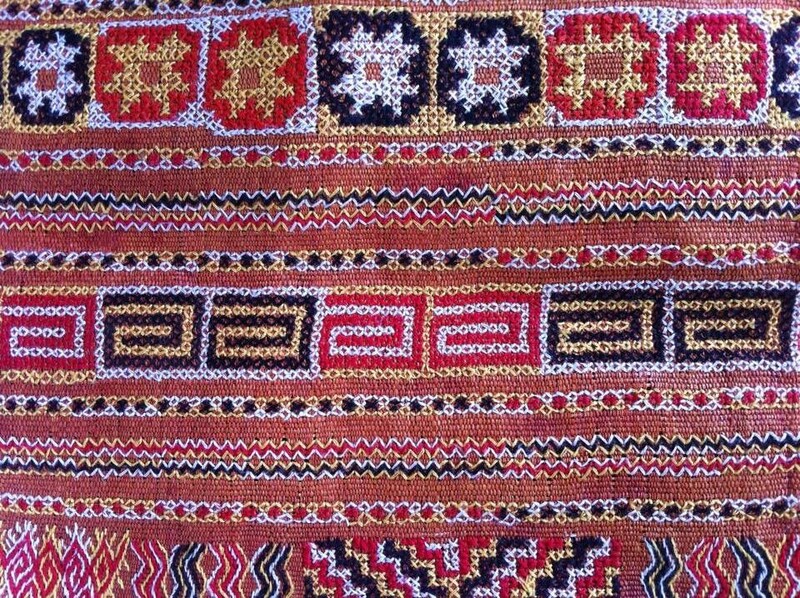 Blaan embroiders were so renowned for their skill that frequently the Bagobo obtained garments embroidered by their Blaan neighbors. 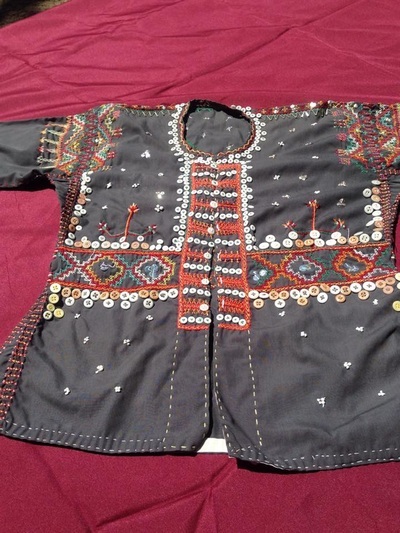 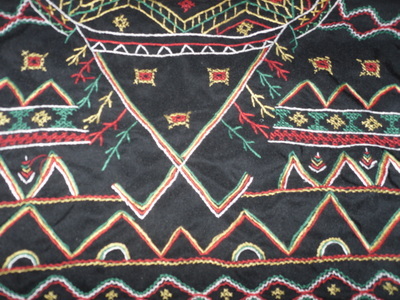 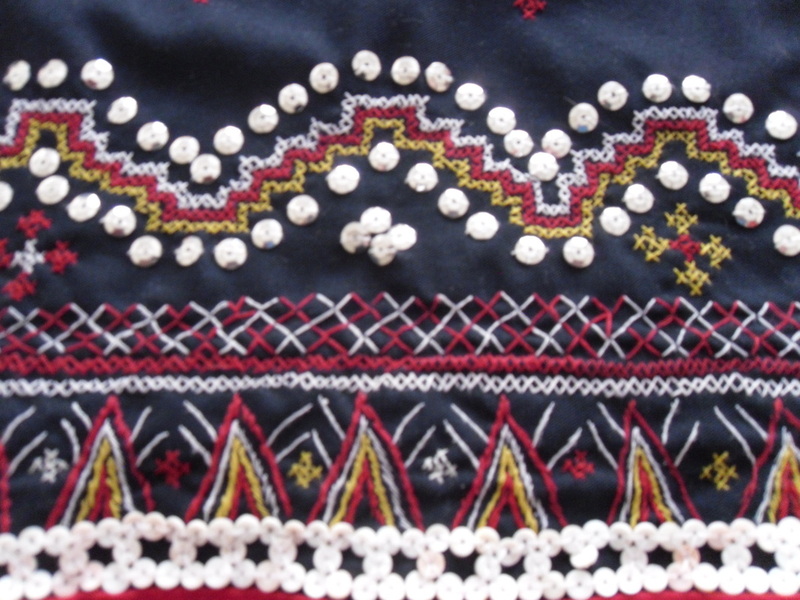 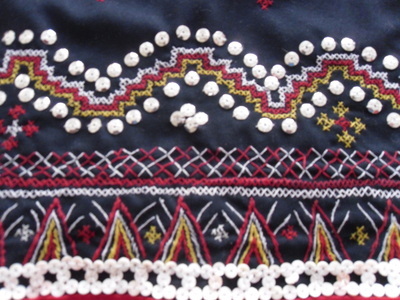 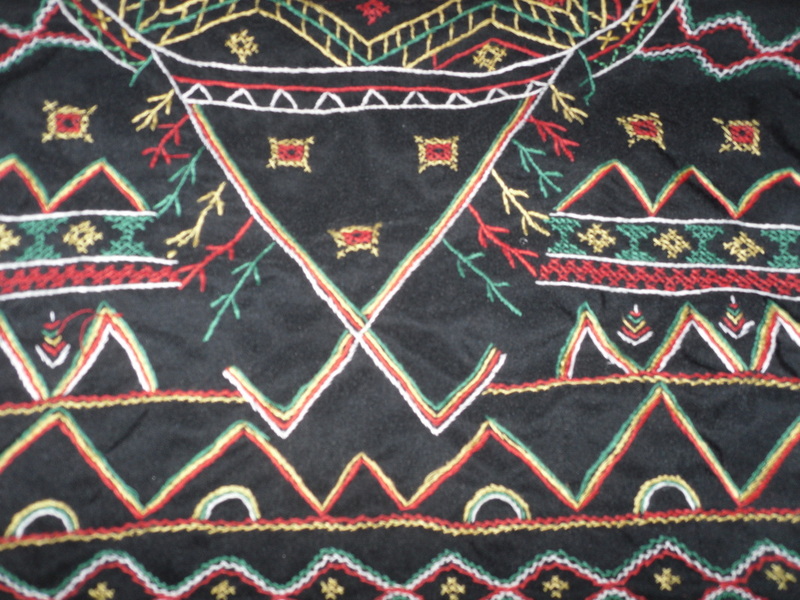 Although many Blaan garments are therefore recognizable on the basis of their quality and style of embroidery, exceptional examples of Blaan textile artistry are also found with shell-sequin decoration or with tritik. 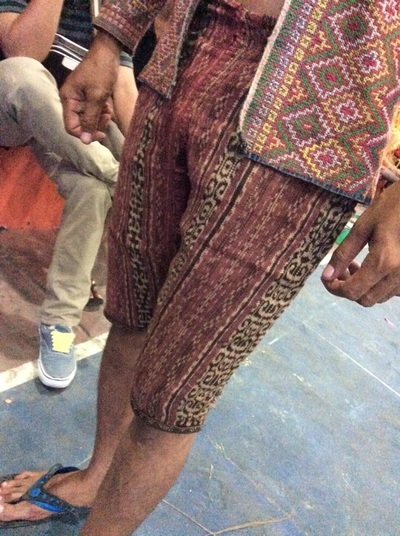 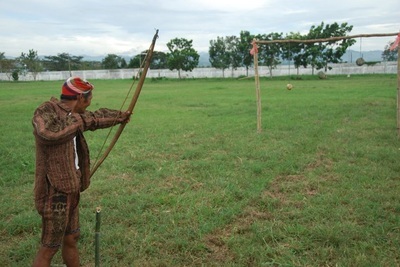 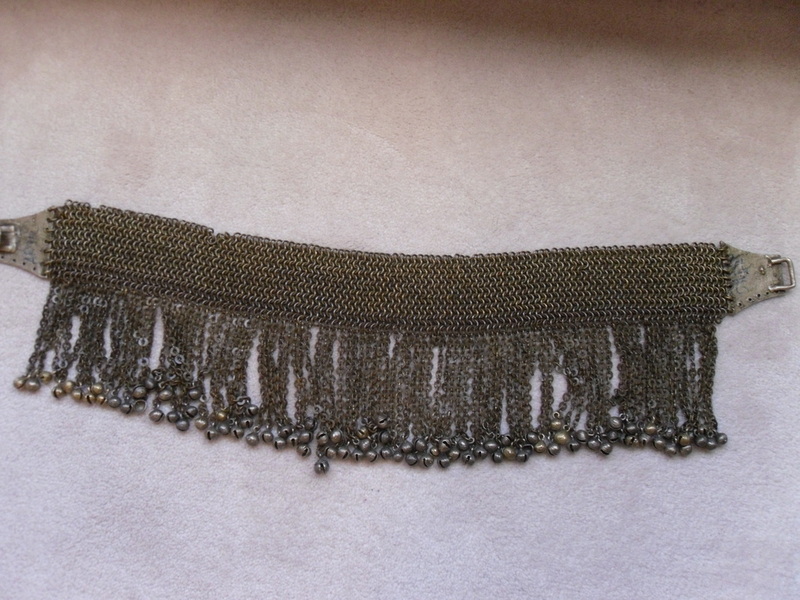 Cole noted that the type of clothing worn by the Blaan “is practically identical with that of the Bagobo” (1913:133). This remark is indicative of the underlying similarities that make this area a coherent style region. Furthermore, there has been a considerable sharing among the groups based on their physical proximity. 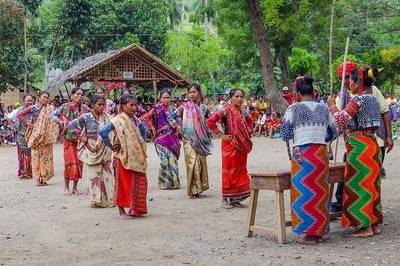 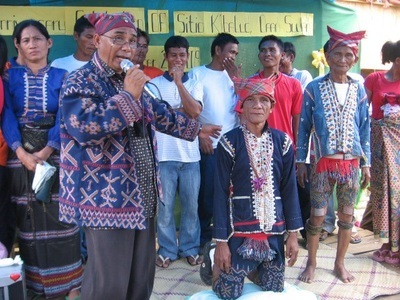 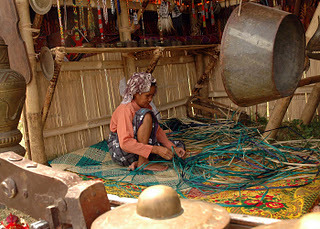 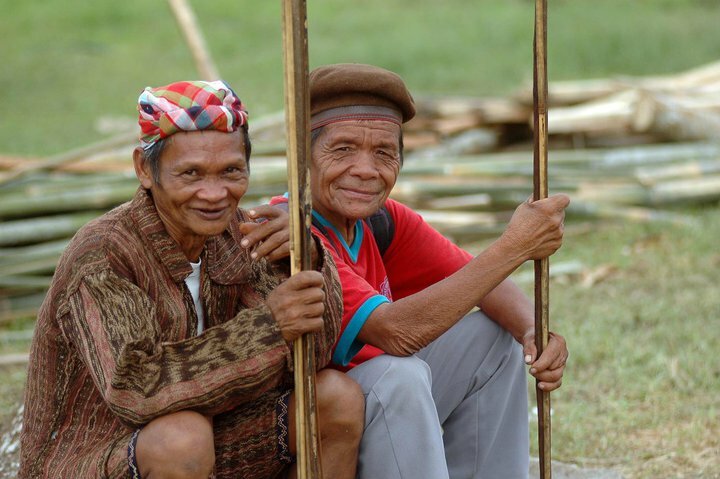 The Bagobo make use of Blaan-made garments and, at least today, do not clearly differentiate them from their own garments (Quizon 1997:39). 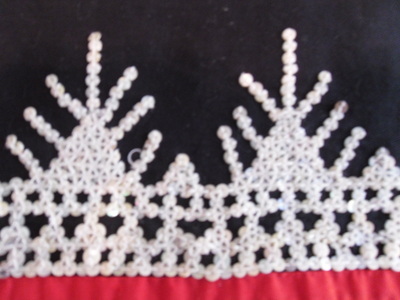 Even in the past, garments made by one group were often embroidered or decorated with shell-sequins by women of a different group. Photo by Jocelyn Robles. 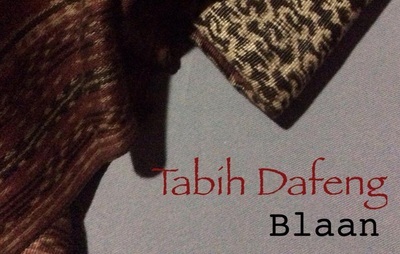 Click photo for details about the exhibition.